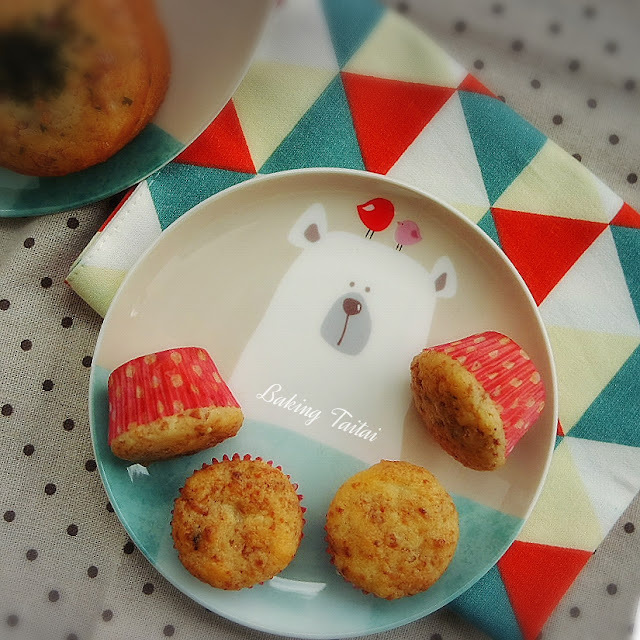 As mentioned in my last post, I am sharing this quick and easy Bak Kwa Yogurt Muffin recipe today. 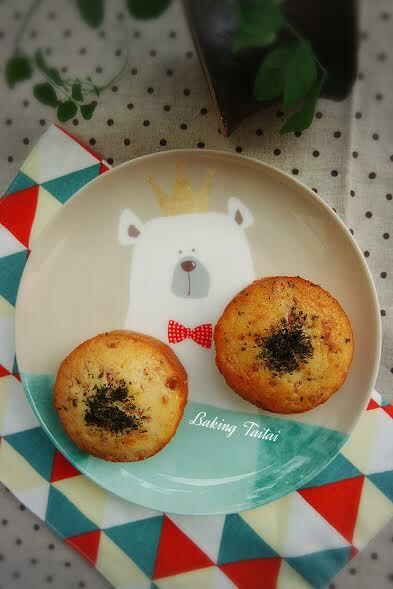 It is another savoury muffin which my family loves besides the 'Cheesy Ham & Onion Muffins'. 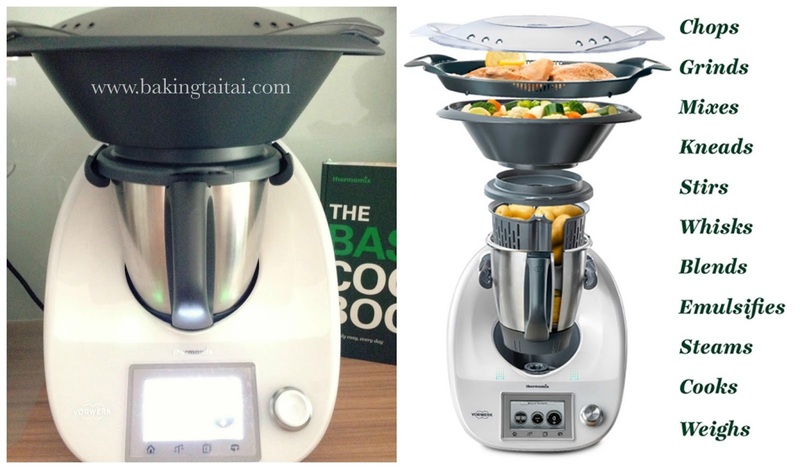 In this post, you will see my new addition and latest 'toy' - The Thermomix, making it's debut in my blog. It has been my great helper since I got it last December. 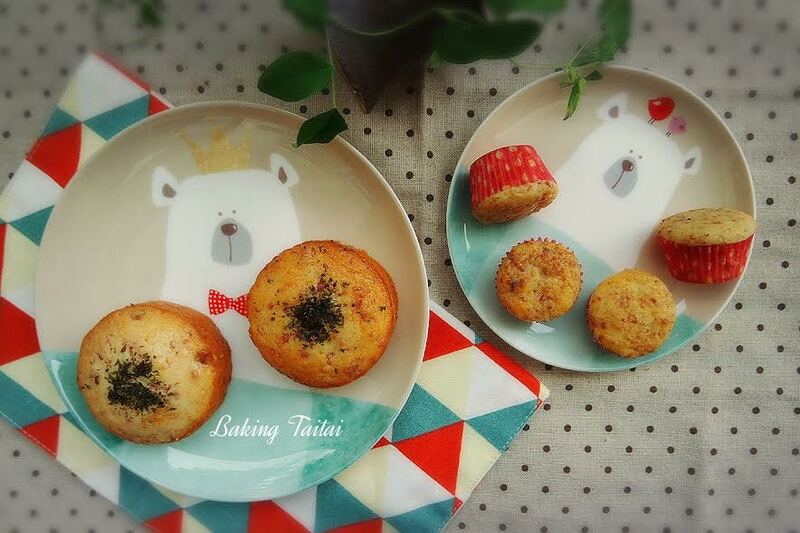 Baking and cooking have never been so easy until it came along! 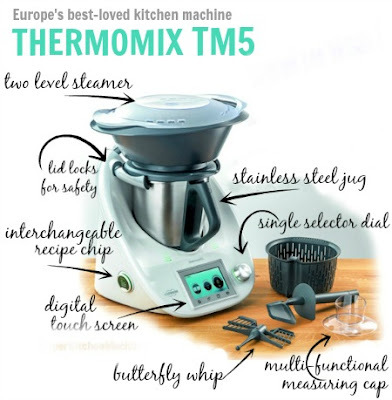 If you are interested, you may contact my Thermomix consultant, Phyllis at (65) 93889470 to enquire more about this amazing kitchen appliance. My best helper in the kitchen being so efficient and time-saving! 1. Grease the inner sides and base of baking pan. 2. Mix the baking powder, baking soda and cake flour together. 1. Using a hand whisk, mix the eggs and sugar well together. 2. Mix in the oil, followed by milk. Whisk till well combined. 3. Add in the yogurt, mix well together. 4. Add in the flour mixture and use a silicon spatula to fold in gently until no trace of flour is seen. 5. Add in the bak kwa bits and mix well with the spatula. 6. Spoon the batter into cupcake liner and fill up about 80% full. (Optional) You may sprinkle some parsley flakes on the surface. 8. Remove from baking pan and cool on a wiring rack.